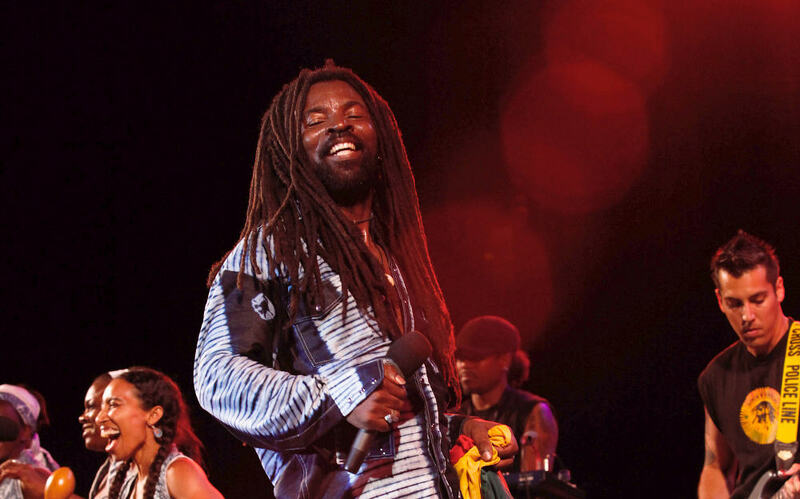 International musician and humanitarian activist Rocky Dawuni will perform his blend of Caribbean reggae and Afrobeat at a rare London appearance in September. Rocky Dawuni will play at 229 The Venue in September. Born in Ghana and living in Los Angeles Dawuni released his sixth album Branches of the Same Tree earlier this year. Throughout his childhood in Ghana music was always present and his youth coincided with an era of political turmoil and frequent military coups. Later as a student he spent hours listening to his friends’ record collections, discovering the Afrobeat of Fela Kuti from Nigeria, the African soul of Osibisa, reggae and American funk and soul. Dawuni has worked on campaigns with UNICEF and focused on Guinea worm eradication, environmental issues, women’s health and education, HIV Aids advocacy, peace building and clean water. Rocky Dawuni is live at 229 The Venue, 229 Great Portland Street, Fitzrovia, London W1W 5PN. 7.30pm 11 September 2015. Tickets.